Hilzoy at Obsidian Wings observed the birthday of right-wing gasbags Rush Limbaugh and Ann Althouse with a quotation from a real conservative who shares their day, Edmund Burke. 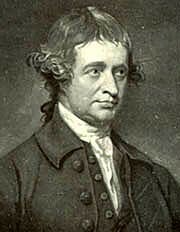 Burke once wrote, "I hope there are none of you corrupted with the doctrine taught by wicked men for the worst purposes, and received by the malignant credulity of envy and ignorance, which is, that the men who act upon the public stage are all alike; all equally corrupt; all influenced by no other views than the sordid lure of salary and pension. The thing I know by experience to be false." Meanwhile, Don Boudreaux, whose blog Cafe Hayek is a nasty piece of work, does his best to spread the opposite idea.